Royal Crescent Gardens in Notting Hill. Tickets have gone on sale for this year's Open Garden Squares Weekend, giving the public a chance to see behind walls, over hedges and into green spaces that are normally off-limits. 211 gardens, squares and green spaces will open their gates, including private squares, roof gardens, museum gardens and allotments. Some are open to the public all year round, with this event intended to bring them into the limelight. Others are open for one weekend only. Several gardens are taking place for the first time this year, including the Providence Row Rooftop Garden, a courtyard and allotment overlooking the rooftops of Brick Lane. If heady heights are your thing, we recommend dropping by the Blue Fin Roof Garden, just round the back of the Tate Modern on Bankside. The 10th floor terrace is usually only open to employees in the building. If you've not yet made it to the Museum of Brands' new location, here's your chance — the courtyard is home to a plethora of subtropical plants and bird nestboxes. Tickets are £12, which gives access to all gardens on both days (although some are only accessible as part of a prebooked tour). See the full list of gardens taking part or plan your attack using this map. 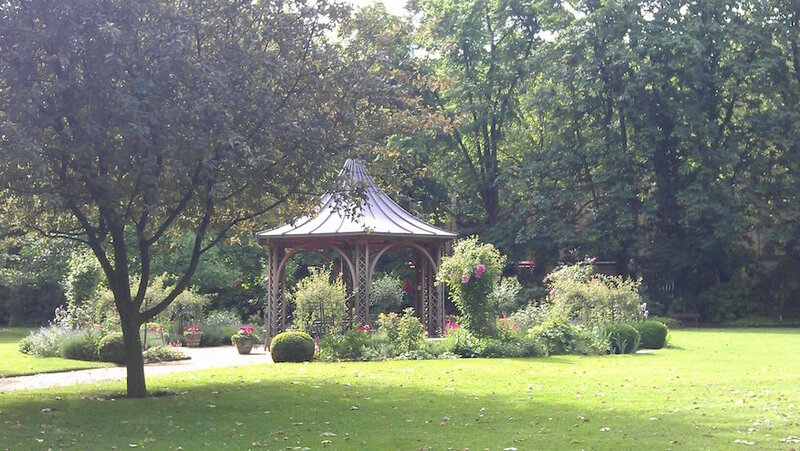 Open Garden Squares Weekend 2016 takes place 18-19 June. Tickets are £12. Under 12s go free.